One of the most challenging aspects of investing is not what many may think. Digging through the multitude of options available to put your money to work can be a daunting task. However, keeping your cool when things move in the wrong direction can make or break your portfolio returns. Sometimes stock prices move based on economic facts, other times they move based on a perceived notion, or in anticipation of an event. 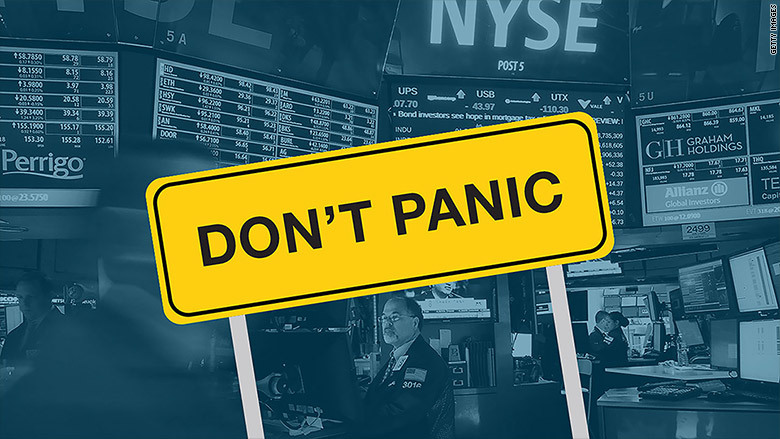 If we know one thing, markets DO NOT like fear and uncertainty…..and given the levels of those prevalent in the market today, it’s no wonder we are seeing the market go haywire. This can easily weigh on an investors emotions. Watching your portfolio plunge into a sea of red is by no means easy to stomach, but it happens. Making sure you take the right steps when it happens, will make sure you don’t turn short term pain into long term damage. So what should you do With your portfolio? For one, it is always advisable to work with a professional. You wouldn’t try to build a house by yourself…..you hire a builder. So why should you treat your portfolio any differently? Secondly, beware of taking financial advice from the mass media. The media speaks to a very large and diverse audience, and their recommendations may not be suitable for you. They do not know your goals, risk tolerance, and time horizon…..so how would they know what is best for your portfolio? The more you stay focused on your long term goals, the better off you will be. Keep your eye on the ball! If you want to talk with us about ways to stay more disciplined with your portfolio strategy, click Contact and we will get back to you shortly.